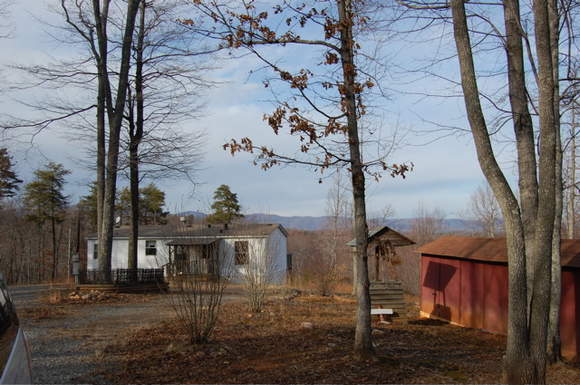 The doublewide home and outbuilding. Private location, 3 BR, 2 BA doublewide with storage building. 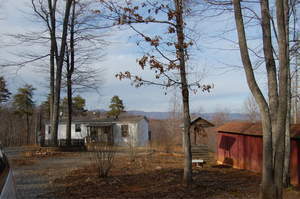 Here is a 3 BR, 2 BA doublewide close to Fairystone State Park and Philpott Lake. 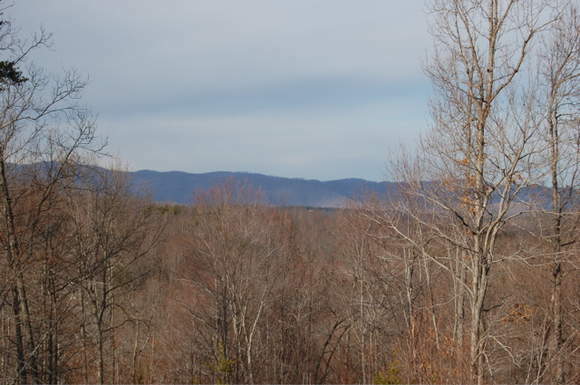 It is in a private setting with a great view from the rear deck. 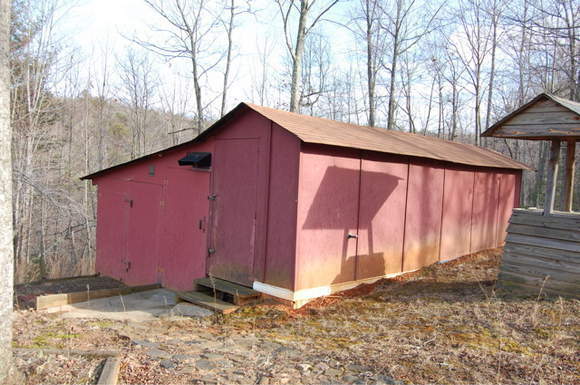 There is also an outbuilding on the property for a workshop or storage. 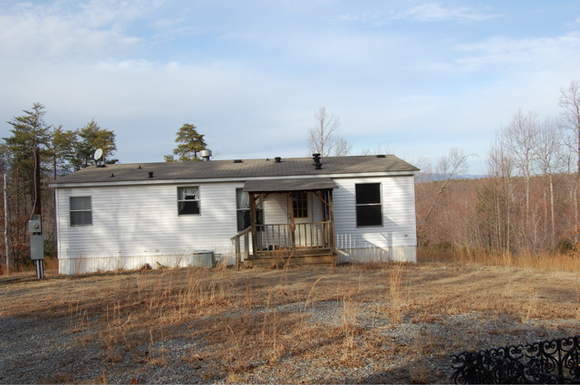 It comes with 5+/- acres and a stream is the property line on one side. The home was manufactured in 1993 and is in good condition. The view from the rear deck. A survey of the five acres.